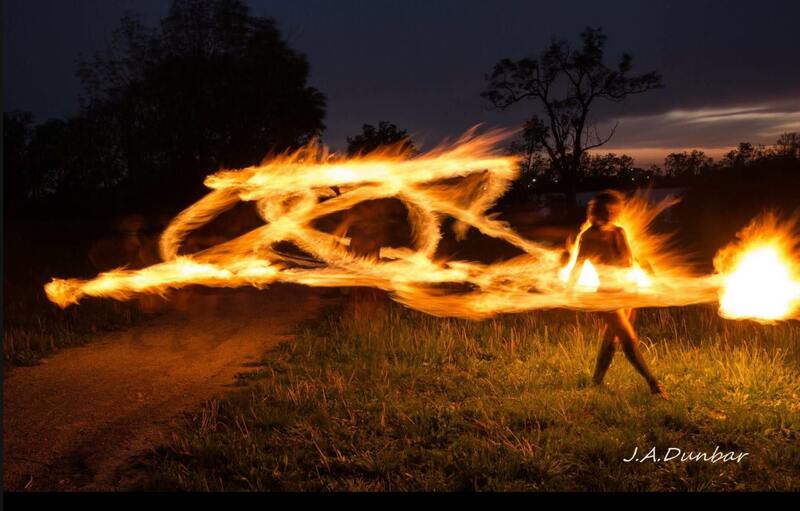 Mogli Flowgli is an insured fire performer who strives to let go of her thinking brain while she performs, diving within the deeper parts of herself, entering into her heart space which allows her performances to be organic and authentic. She intends to create harmony with her contact staff and her breath, opening up her body to follow her breath. The flow arts are a great way to bring the community together and inspires skill sharing, this forms bonds that last a lifetime with always having something to connect back to: the flow arts. The flow arts are a great way of self expression, relieving stress levels, develops a deeper focus, concentration, and understanding, including improving your mental and body coordination. Mogli is here to inspire an audience, and guide people along their flow arts journey. Whether you want a instructor to teach you the theory of contact staff and do individual training sessions, workshops, or you want someone to entertain a party, an event, or a festival, she will bring her experience, skills and of course, her flow!